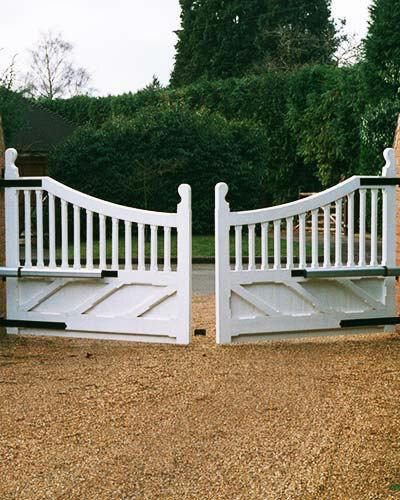 The Gate Automation industry is a competitive one, and we pride ourselves on being able to provide electric gates and security solutions to suit almost all budgets. Not only do we design, manufacture and install, we also offer tailor made after sales maintenance contracts. These are offered to all clients following new installations and we also offer these on existing systems which may have been installed by someone else. Once the system has been assessed for gate safety requirements, we will discuss the level of use and provide you with an obligation-free quotation. Residential customers will be offered a maintenance contract with a minimum of 1 annual service visit, whereas commercial or multi user premises will require a minimum of 2 visits - Possibly more depending on the volume of traffic. All of our maintenance contracts include at least one annual safety impact test in line with gate safety legislation. Following the force test, you will be provided with a copy of the report along with any observations/recommendations under gate safety legislation. As members of the DHF Powered Gate Group, we are committed to ensuring that every system we install and work on is compliant with current legislation. We are registered gate safe aware installers, and all engineers and office staff are fully trained and understand both our obligations as installers, and that of the persons responsible for the gate. We also offer our clients a 24/7 breakdown service. If you have one of our maintenance agreements, you are automatically granted access to our 24/7 call out service which operates 365 days per year. In addition, and of particular interest to commercial clients or those with higher level security concerns, we can offer breakdown response times of 24,12 and 4 hours - Meaning that if you need us and you have taken out a contract with the 4 hour option, we guarantee to be with you within 4 hours of the call-out being correctly logged, regardless of your location or time of day or night.